At initial office conferences, potential new clients often ask me, “How long will it take me to get divorced?" That question is similar in its answer to the questions, "How much does a new car cost?" "How much does a new house cost?" or, "How tall is a man?” in that different cars and houses cost different amounts, and people are of varying heights. Similarly, some divorces are able to resolve in a relatively short period time, like three months. Many can be resolved in 6-8 months. Other divorces take up to a year (and sometimes more). New Jersey sets a goal of having every divorce resolved in no more than 12 months from the day that the divorce complaint is filed in the office of the County Clerk. So, how does that bring me to the title of this blog post that I call, "How Your New Jersey Divorce is Like a Car Wash."
Think about the last time you were on a line at your favorite car wash on a bright, sunny afternoon in April. It's 72°. Your car is filthy. So is everybody else's! The line stretches out to the highway, and it then bends and continues down the highway, but you wait in it anyway because your car is so dirty that you have no choice. 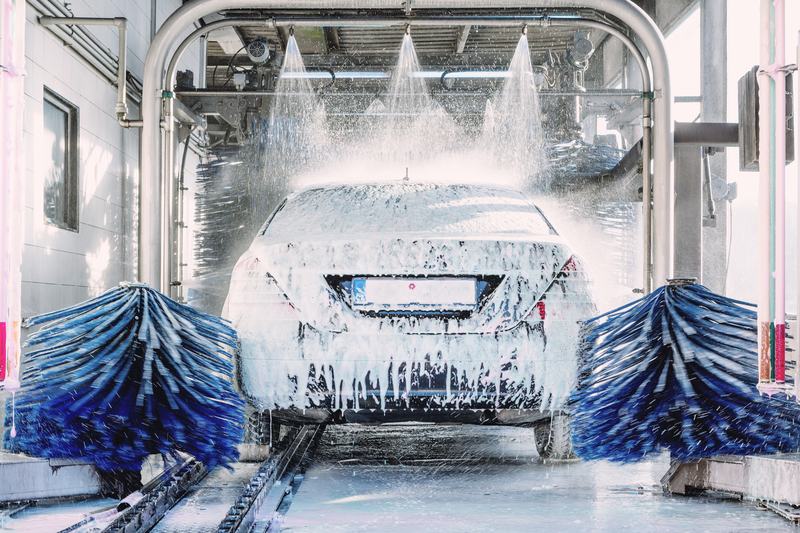 As the line moves closer and closer to the entrance to the car wash structure, your car is not getting any cleaner. It is only when your car is the next one in line, and that hook on the conveyor belt comes around and grabs the chassis of your car, thus beginning it's journey actually into the car wash structure itself, that your car starts to get a little cleaner. In a New Jersey divorce case, the ”hook on the conveyor belt" analogy from the car wash is the day that your divorce papers are received by the clerk in the basement of the courthouse, and the clerk picks up a little rubber stamp and stamps it “received" with the date that the papers were received. That's the hook. That's when your case starts getting pulled through the "car wash" analogy that we call the New Jersey Family Court. That is often when the process of beginning to resolve your divorce case really starts. You want an amicable divorce, right? Of course you do. Everyone who is seeking a divorce does. I've met with thousands and thousands of people over 30 years, and almost every one of them has told me that they came to my office because they realized that they needed a divorce, but that they don't want it to drag on or be nasty. Well, the way to get the clock started on the one-year maximum that the New Jersey Court says is supposed to exist for all divorce cases is to get your divorce complaint filed with the County Clerk. That starts the clock ticking on the one year time period. That is the analogy to the hook grabbing the chassis of your car in the car wash.
What I mean is that your case will not process through the system until your divorce complaint has been stamped "received", just like your car will not get any cleaner until the hook at the car wash grabs your car's chassis and starts pulling it through the car wash structure. There are times, though, when you don't want to rush off and file for divorce right away. Sometimes it is better to negotiate first. Sometimes one last shot at marriage counseling is in order. What I am saying, though, is that you have to always balance the time that you are spending trying to settle your case without filing for divorce against the reality that your divorce could actually be delayed by not filing if, in fact, your settlement efforts do not produce an actual settlement. READ ABOUT THE MOST GENTLE WAY TO FILE FOR DIVORCE IN NJ: "IRRECONCILABLE DIFFERENCES"